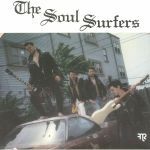 Review: One of Frank Raines' most repeated offenders on Funk Night Records, Russian troupe The Soul Surfers return with two more on-point contemporary funk jams. "My Crew" is a lullaby level ode to mates with a hip-hop-inspired backbeat and gilded harmonies from the crew themselves. 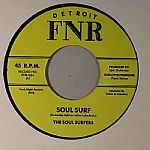 "Smell Of Detroit" takes us way out west with an almost cosmic, heavy-washed feel and an old America feel that goes back further than the steel city's most enduring legacy. On-point.